What Are The Aspects That Will Affect The Property Principles In Malaysia? When something on your roof goes wrong, people assume that the worst will happen things to happen. However, the worst does not happen every time. Therefore, you don’t have to immediately call for help from a professional contractor every single time you think you need to get your roof repaired. Believe it or not, there are roofing problems that you can fix all by yourself. With basic knowledge and the right tools, it’s certainly not impossible for you to solve minor problems and do simple roof repairs! This article will guide you on how to do DIY roof repair. o There are too many leaks to handle. o It is difficult to trace the leaking part of the roof—usually between the frames or along the walls. o The cause of the leaking entails major damage. o The kind of roof you have, like a ceramic tile roof, needs professional expertise. o The problem persists after the initial repair. There are different kinds of roof problems and solutions, depending on the kind or the severity of the problem. Determine what’s wrong with your roof first before proceeding to the planning stage. Once you know it, make a layout of what you should do. After planning, list the tools and materials you need and get them all ready for work. To replace a shingle, remove the old, damaged one first. Split it into a few narrow pieces and then yank the split pieces off the roof. Then, remove the nails that held the damaged shingle in place. 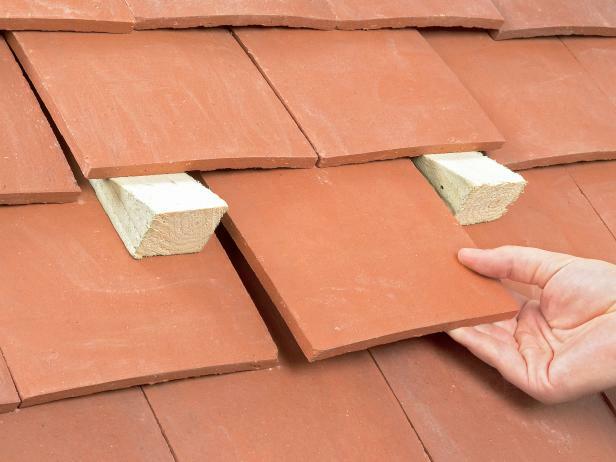 Once you get the old shingle off the roof, measure the width of the space and cut it with an extra measure of 1 inch. Hammer two cedar shingle nails upwards below the lowest part of the shingle. Then, tap the new shingle into place. Cut an aluminum flashing 1 inch narrower and 4 inches longer than the ripped shingle bar. Loosen the lower part of the damaged bar. Apply 2-3 thick roofing cement beads beneath the damaged shingle, slip the cut flashing, and apply more cement topping the flashing. Press the bar back down in place. The major cause of peeling paint is water. A rain cap is the best way to protect the paint. Check whether or not your repair has successfully worked. Hose water to the affected area of the roof and see if there are leaks on the inside. If there is none, your repair has actually worked.